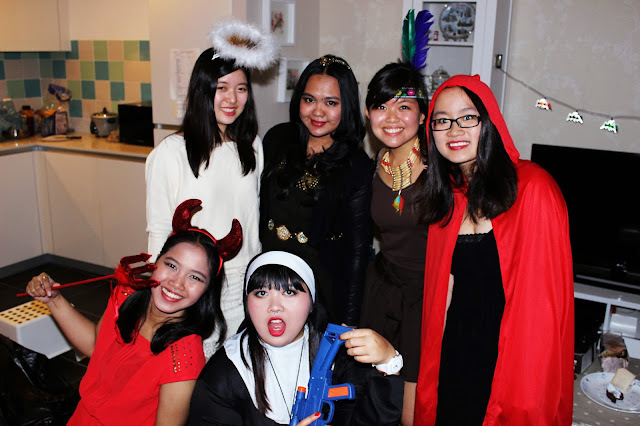 Ever since I came to UK, seems like Halloween is an essential memorable day that need to be celebrated. Back in Malaysia for me Halloween is just like any ordinary day in despite they celebrated it with popping some champagne and go to a nightclub. So when I hear Shanka's going to throw one Halloween party at her place I immediately browse for my costume and agreed on her invitation. I was intended to become one of my favourite Anime character but then turns out the shipping takes forever, while I was browsing my ebay suggestion bar shown some gruesome picture of a zombie nurse. 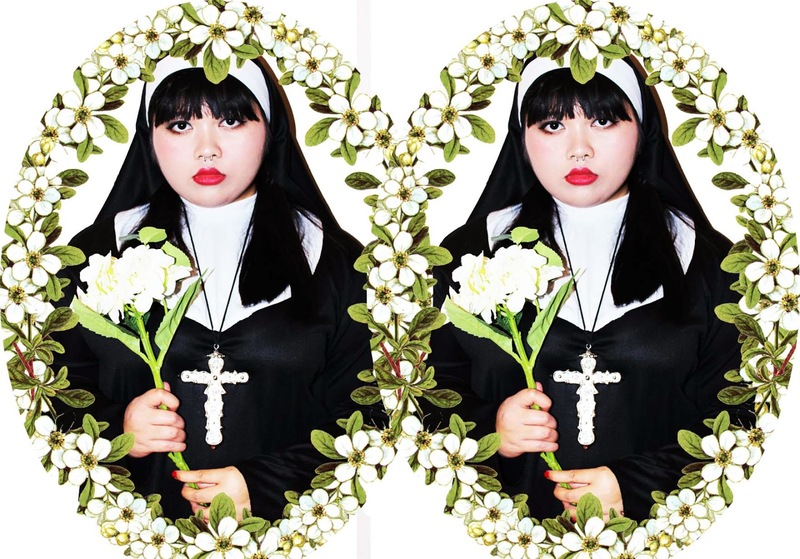 From there I found an epic zombie nun costume but to think of I have to throw on some powderish make up on my face I decided to lose the zombie stuff and become a catholic nun instead. Turns out crowd loves it! perhaps since it's not my nature to wear such a thing and also I'm a muslim. Just get the gag from it no offense really! I do admire nun. I love house party compare to doing some club hopping plus I hate crowd (concert is an exception tho) like I did last year I didn't really expected club hopping could be really exhausting. Well of course I couldn't say no since I'm a fresher back then! 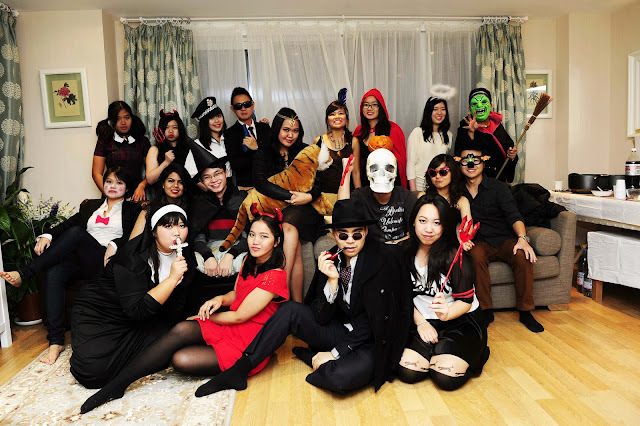 Loving this year Halloween vibe, hype music, lovely food and of course lovely people! 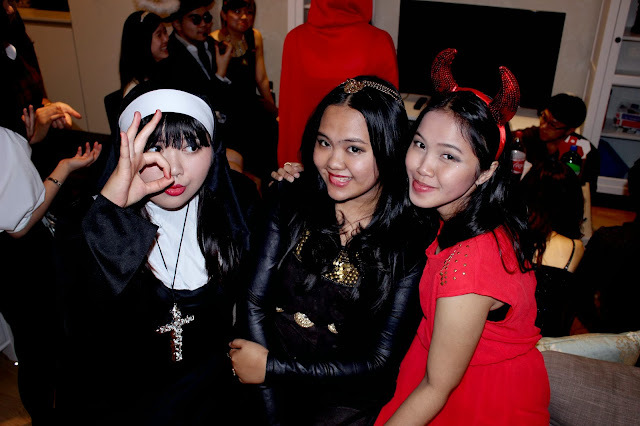 This entry was posted on Saturday, 2 November 2013 and is filed under Halloween,house party,nun. You can follow any responses to this entry through the RSS 2.0. You can Comment. nice costume dear. :) By the way, I am inviting you to join my OASAP X IamJenniya Thanksgiving Giveaway JOIN HERE. Ah, your costume looks so great! Sounds like you had a great night! 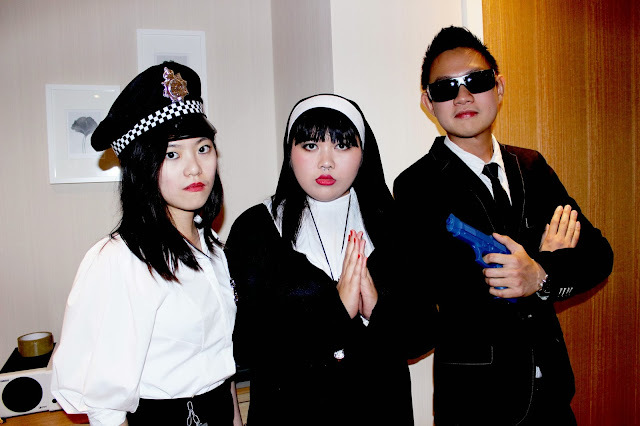 love your costume and how you edited your photos, way cool! Seems like you had a lot of fun, I love your costume! You have just gained a new follower on GFC and bloglovin' I simply love your blog! Looks so fun ! inspiring costume for Halloween. wihh aku ga pernah kepikiran jadi nun! 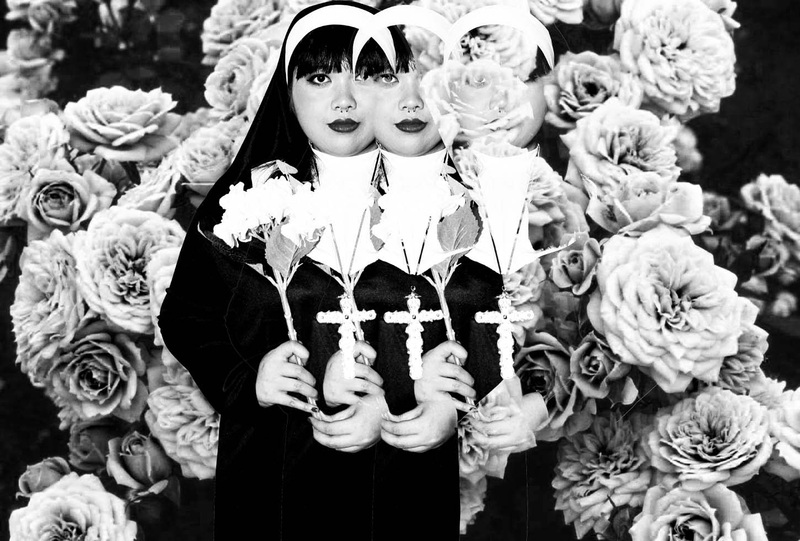 such a cool concept kak >< love how you edit the pics too! oh I love your costume! 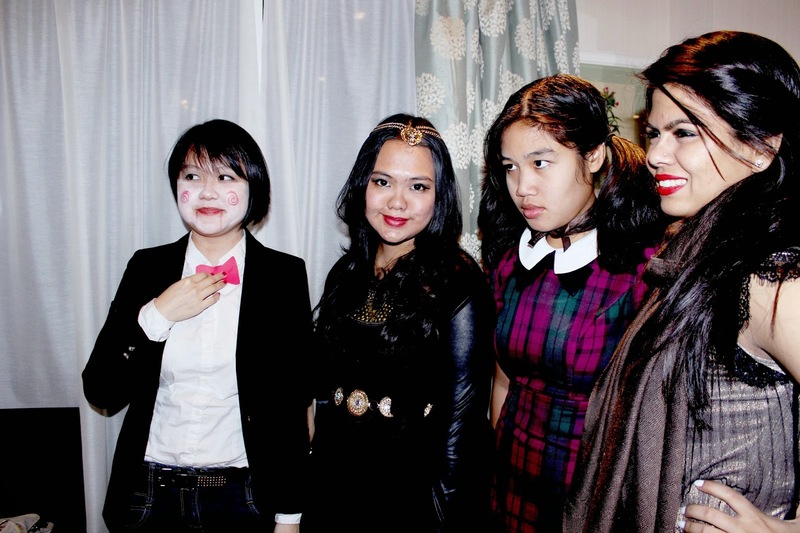 and everybody looks like definitely getting into the spirit of Halloween! love the costume, babe! i really wish i was more into it during halloween cause for 3 years in a row, or 20 years in a row for that matter, i never dressed up for halloween. lol. 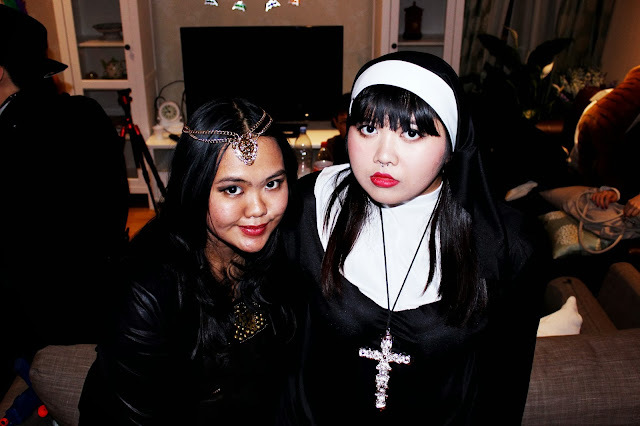 i'm a complete halloween-nun, if you get what i mean.